A must for people who are looking out for some sense in every day battles of life. 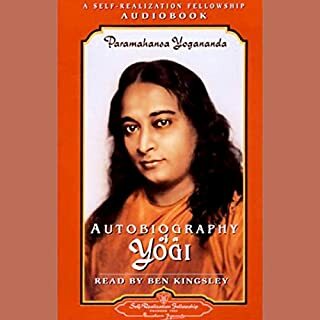 The book is an eye opener to the realisation of oneness with the self and the opportunity of experiencing one’s true nature if there is intent to look deep within. May all be blessed by this book at sometime in their life, not in distant future, but now...!! 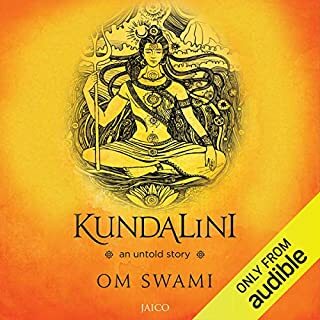 I read this book few years ago and when I saw that it's available in Audiobook version and that too in voice of Eckhart himself, without wasting a minute I bought it. Belive me guys, this is a life changing book.. If you're ready to practice what Eckhart says here then you'll be benefited not only through this life but even after life. GO FOR IT, ITS A MUST. it can bring a paradigm shift to the belief of the Being and the ability to live in the Now. 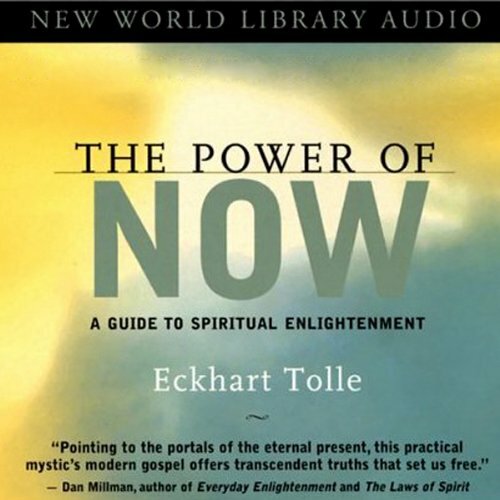 I'm blown away by the way Eckhart tolle explains everything. He has touched almost every aspect of life. This book is the new age enlightenment guide. Love. I have listened it twice back to back just to make sure not to miss anything. It's an amazing book. It might make you reach the ultimate goal ie.. Nirvana or Moksha. 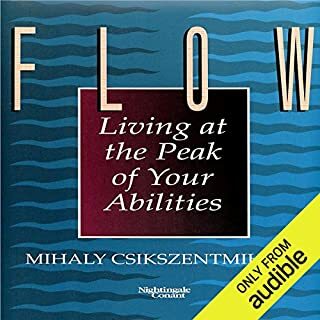 I have been listening to it and I can see my life changing and my inner peace is increasing every time I learn something new to this book. Thank you Eckhart Tolle's for being there. Thanks for the book. It's beautiful and practical. It is a journey into the deep caves where our emotion lies. It illuminates the reader of the need to be present and be accountable for each moment. 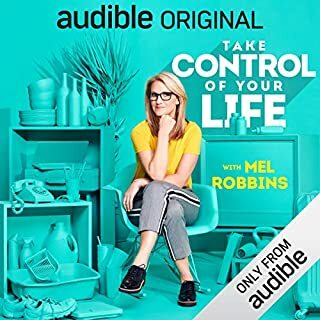 This audiobook was great and I genuinely consider it to be life changing. Tolle's teachings made me realise the root of my anxieties and hence unhappiness. 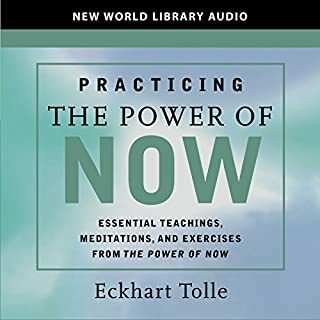 He gets quite spiritual at times, which doesn't particularly appeal to me, but the overall message is a wonderful one and has made me appreciate 'the now'. Initially not sure whether this would be any good and thought maybe other reviewers were desperately looking for something that the rest of us knew was a bit 1960's and zen like. Maybe they are - maybe not. I don't think I am but I did find this surprisingly inciteful and useful. Lots of really down to earth good advice and good philosophical (and dare I say it) spiritiual food for thought. But to reiterate: useful and pragmatic from the start. Have listened to some bits a few times as it seems to make me think of things slightly differently each time. This book opens the door and gives a glimpse of a world I had not experienced since childhood. That of living in the present moment. A beautiful but very indepth read. The incredible power of this book stems from the simplicity of its teachings. Tolle presents a system so simple and undebiably true that it cannot help but work. 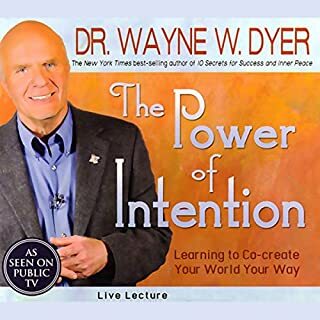 I am not so sure I would have taken so much from the written book, so the audiobook is definitely the recommended format to absorb this timeless teaching. 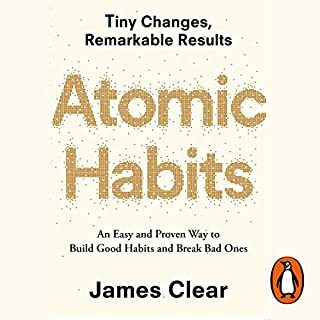 If you do only one thing to improve your life, then make that reading this book. Eckhart Tolle is an extremely inspiring man. I love this book and his other books also. His ideas are great and having implemented some of them already in daily life I feel a lot more positive than I have in the past. Releasing how far away we are from living life like we should in order to be happy and healthy is amazing. I'm not sure I could dive in like the author did and live happily homeless but I have definitely taken as much of his advice as I can. My only slight issue is that his voice is very calming and hypnotic to the point that I found myself getting a little sleepy while listening but that can also be reviewed as positive because he is very easy to listen to. I would definitely recommend this book. I would just like to take this opportunity to thank the author for producing this book, an amazing, truly life changing experience. I recommend listening to this title in small chunks to really take in the PEARLS of WISDOM. Free yourself from your mind, find your inner happiness. 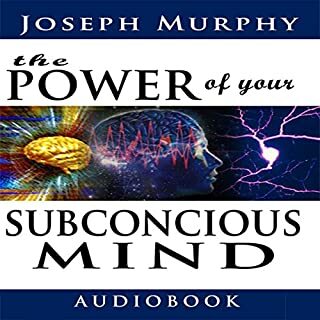 Would you listen to The Power of Now again? Why? 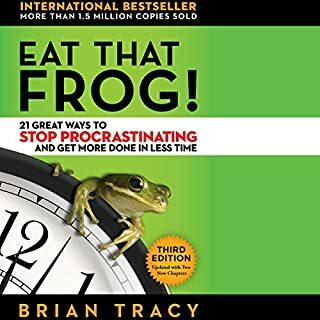 This was recommended to me as a book I should read. I am glad I did. 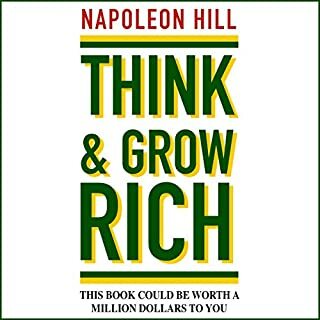 The book explains how we rush about in our daily lives, earning money and supposedly living. But how often do you sit and think about what you are doing 'now'. To listen to the sounds of nature and actually see nature growing. There is so much beauty around us. What was one of the most memorable moments of The Power of Now? The most memorable part was actually realising that I can listen and be in the present and it is peaceful and calm. 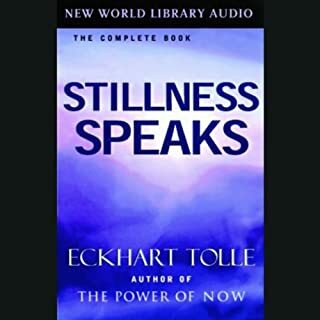 Eckhart's voice is calming. He pauses several times to allow you to take in what he is saying. 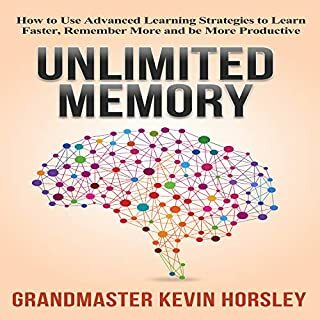 I listened to this book in 2 days. When the author told me to enjoy the moment, to listen, feel and taste the now, I felt that my life is suddenly going to be richer in experiences. This has proved to be so in many experiences since. I’d say this book should be compulsory but that would be pointless and against the very ethos of it. Read. Think about it. Sit still and in silence and appreciate it. Let it change your thinking. I was so excited to get this book as so many people had raved about it to me. If I'm going to get this kind of book I like to get in on audible rather than as a physical book but oh my goodness this narrator's voice was unbearable! The female publisher introduced this book and said the author was then going to introduce it himself, so when he started talking and it was awful I thought it would be OK because they implied he was only introducing it and another narrator would take over. Was actually horrified when he kept going and I fast forwarded only to find out he was narrating the whole book! To me it goes beyond what the others have said - a boring voice that puts them to sleep. I actually wouldn't mind this. This guy was just plain irritating and has one of those voices you just don't trust. Kept feeling like he was in some sort of physical pain and was being held against his will and tortured to narrate some random book he hasn't even heard of and he's just desparate to get it over with. I've returned this after 10 minutes and I won't be ordering the book either now! Amazing book and profound message. 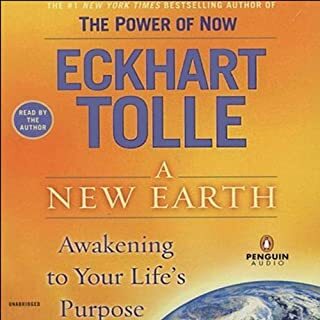 The narration is superb and set as a dialogue between Eckhartand his publishers, it's pretty clear lot of care has gone into the audiobook edition and the author voice is calm and clear, almost soothing. 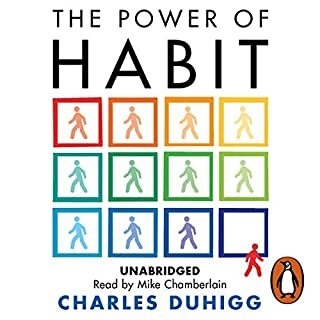 Although this book is highly recommended please be wary that it might be hard to follow on a daily commute as it requires undivided attention. Better heard in the quiet of you abode. 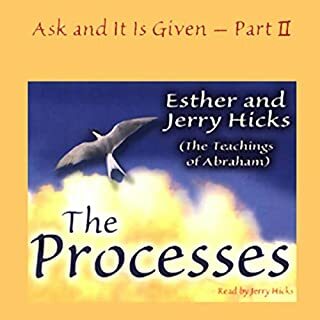 I have read this book several times, and being able to listen to it when i am not in the mood to read but still need the amazing, life changing wisdom is just great. For anyone who finds life difficult, empty, excessively stressful or lacking, this book is your answer. Not only is it an easy read, you only need to read sections at a time to feel amazing. 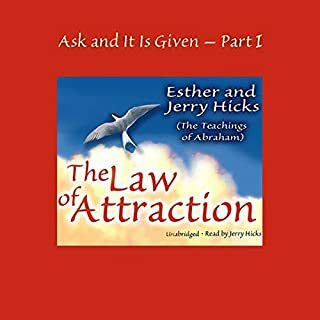 Please give this book a chance, because it is your answer to a better life. Loved this book, It has inspired me. Couldn't stop listening to it had to finish it. Thank you Eckhart for sharing your wisdom and experiences. I read the Power of Now a couple years ago, and wanted to re-read it as I was falling into a darker headspace. 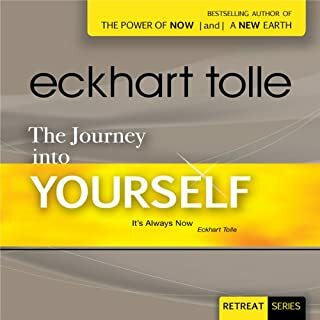 I stumbled across the audiobook form and was intrigued with the idea that Eckhart himself narrates it. I’m so glad I did. Hearing these words through his own voice was powerful. I felt so much more from it, and I know it helped me accept and let go of a lot of resentment that was building. 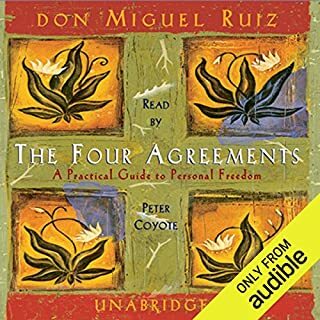 Listening to this book was like a meditation. I can’t recommend it enough! I was recommended this book from my brother. I found it very enlightening. It contains alot of value and insights into the mindfullness of living in the moment and dropping the ego.